Telecom Minister Shri.Ravi Shankar Prasad announced that, there is no plan to shut down or privatise loss making telecom companies BSNL or MTNL. The minister said the intention of the government was to bring them back to profitability. His comments follow Heavy Industries Minister Anant Geete's statement in Parliament two days ago that five public sector undertakings (PSUs) which are in the list of 65 sick PSUs would be closed down. The list of sick PSUs include MTNL, Air India and Hindustan Shipyard. The five PSUs to be closed down include three HMT units, Geete had said. He, however, did not name the other PSUs which are slated to be shut. Telecom Minister Ravi Shankar Prasad said that, the government is taking various measures to revive BSNL & MTNL. 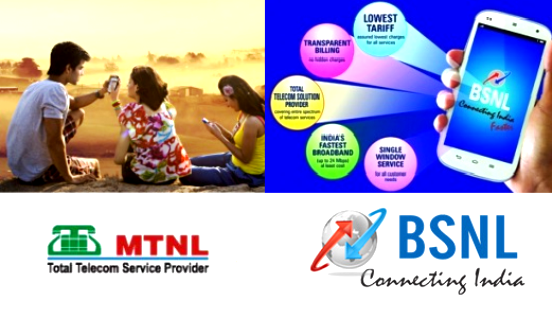 "The financial health of MTNL and BSNL are not in good shape. There are several reasons for this which I want to discuss in the House in greater detail one day. However, we will make them healthy," he said. "We need to improve health of these two companies. There is no attempt to privatize them," he said, adding that 25,000 mobile towers are being installed by BSNL and MTNL to improve their services. Air India and MTNL, once market leaders in aviation and mobile telephony sectors, respectively, were declared sick as per the criteria for a PSU to be declared as such, after they incurred losses worth 50 per cent or more of their average net-worth during four preceding years. MTNL, which provides telecom services in Delhi and Mumbai, has been losing market share over the last many years. It's market share in wireless has come down to 0.36 per cent and wireline to 13.10 per cent at the end of January. Dear readers, please share your views and opinions about the latest statement by Telecom Minister via comments with us.